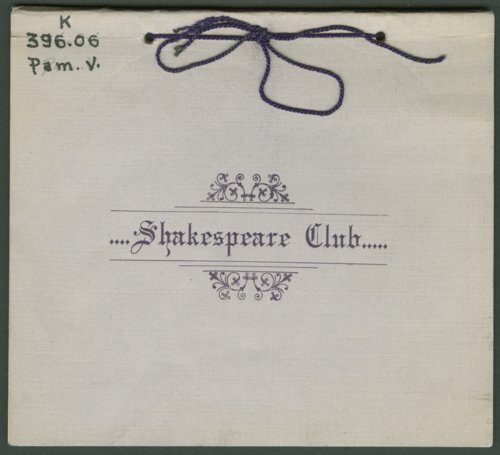 This is a yearbook for the Shakespeare Club in Galena, Kansas, for 1904-1905. This women's club was organized in September 1895. The yearbook includes the names of officers, members of the program committee, and a schedule of location, the content of the meetings and the program leader. The group met three or four times per month. Call Number: K 396.06 Pam. V.